When it comes to food, different people have different preferences, and there are myriad diets out there which encourage different food options. With all those mouth-watering foods, dropping weight could become a tough task. However, without putting too much strain, you could actually lose some weight with the help of a ‘miracle’ element. WATER! Yes, drinking water can assist you to lose weight. Water is something that we drink on a daily basis and is unavoidable. This, single element can support us in dropping some pounds just by downing recommended amount every day. A lot of studies have observed that among people who are following a weight-loss program, those who downed the most water dropped the most weight. 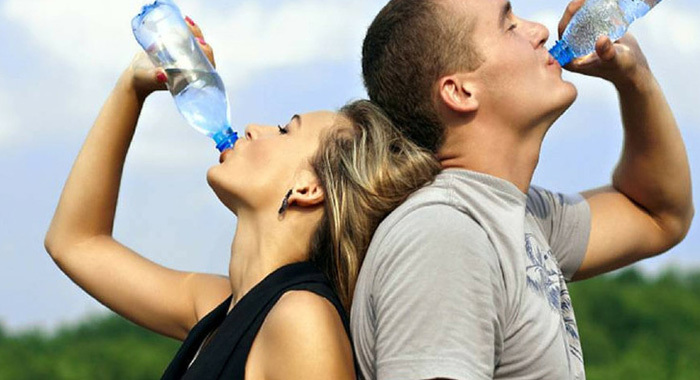 A total rise in consumption isn’t the only way water has been associated with the weight loss. The research suggests that drinking water you have food can promote weight loss. In a rather two different studies, researchers observed that overweight people who took 500ml, which is about 17 ounces, of water half an hour before each meal dropped more weight than those who didn’t drink water before their meal. It’s extremely doubtful that water itself has properties that link to weight loss. But it surely has the capacity to help you feel satisfied. It is quite normal to misinterpret thirst for hunger. Therefore, if you sip on water the entire day, then you will be able to eliminate the so-called hunger pangs, which is apparently going to end in less food consumption. And when you reduce the amount of food you take, it will help you to keep the number on the scale going down. Nowadays you have lots of options when it comes to beverages. However, water is the only one which is calorie free. Even what you call as “healthy” drinks such as 100 percent fruit juice, vegetable-boosted smoothies and naturally sweetened iced tea supplement calories to your daily consumption. Every time you reach for water rather than any other beverage, then you’re saving yourself from the added calories. And, it is a known fact that added calories lead to an increase of the weight. You cannot list water as a supernatural weight loss. However, by combining water into a food plan that aims at weight loss, and exercise routine, you’re clearly increasing your chances of weight loss success. Plain water can sometimes be very boring. But, again you have more options available for you. 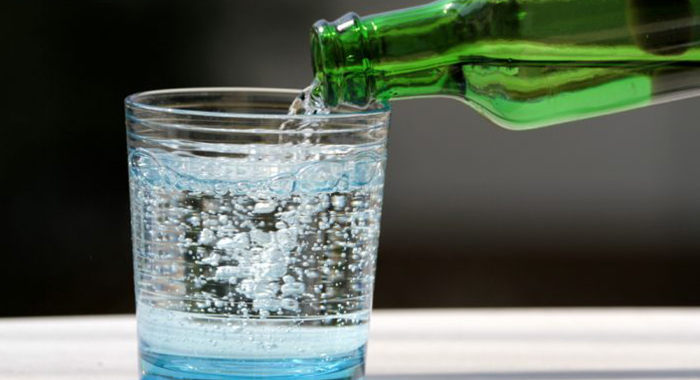 The fizziness of carbonated water makes it more exciting. You can also make your own by utilising a SodaStream or even buy cans from the store. However, you have to make sure that you do not get anything that contains added sugar. Lemon wedge is not the only option that you have. 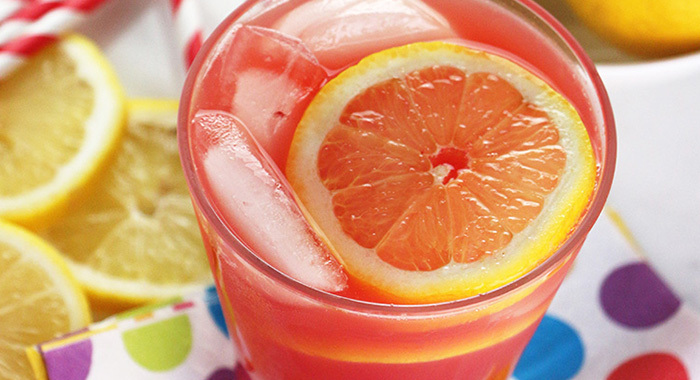 You can try a squeeze of lime, and orange wedge or even a slice of grapefruit. Water necessarily have to be served very cold. As a matter of fact, some people find it harder to down the water that way. Pour yourself some room temperature or warm water for a change of pace. 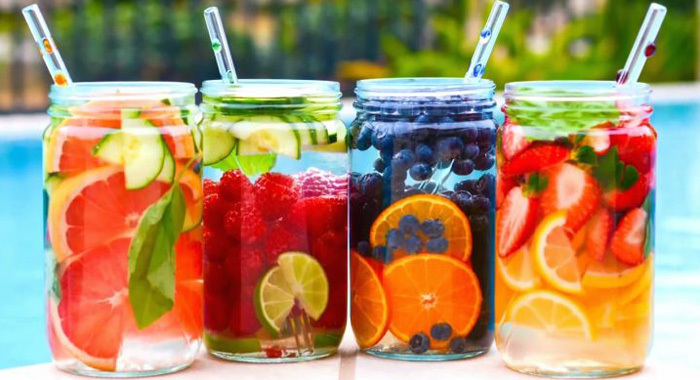 Fill a container with water and experiment by combining different fruits, herbs, or you can also try veggies. Try strawberries, cucumber and mint, or go for a combination of sliced apples and peaches. Refrigerate the pitcher overnight, and in the morning, you’ll have slightly flavoured water that can be enjoyed all day long. You can get a cute water bottle and carry it with you everywhere. This will aid in ensuring that you drink even more water.